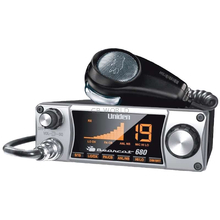 Keeping you in touch while on the road, the Bearcat 680 is a compact radio that is feature rich. A modern looking chassis is complemented by the ergonomic pistol grip microphone. The BC680's mic fills the hand, yet is comfortable to hang onto during the longest road talk. Dynamic squelch, noise limiting circuitry, and an all-digital S/RF meter promote the back to the future style of the Uniden Bearcat 680 40 channel professional CB. The extra-large 12 column LCD display won't wash out in sunny conditions and is extra bright and fully adjustable for night time readability. An external speaker and PA audio jack on the back of the BC680 allows for the easy integration of these popular CB radio accessories. The dynamic squelch control if accessible from the front panel knob for suppressing low quality signals while providing high quality audio for the radio operator. The noise limiting and noise blanking features of the BC680 are activated via push button on from the front panel of the radio and provide excellent noise and inference reduction. A trim 6 inch x 6 ¼ housing makes it easy to find room under any dash for the Bearcat 680 CB. The Uniden Bearcat BC680 CB radio is ready for the World of wireless mics when coupled with Bearcat's optional BC906W speaker-mic. Size: 6.3 in x 6.3 in. x 2.2 in. This is a compact radio. 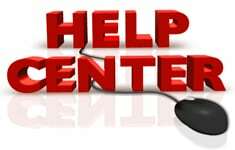 It is recommended for vehicles where space may be at a premium, and installations under dash or consoles. The BC680 includes a mounting bracket with two 5mm thumb screws for mounting.